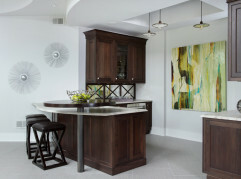 Dark cabinetry sets the stage for a grounded stately office located front and center of this home. 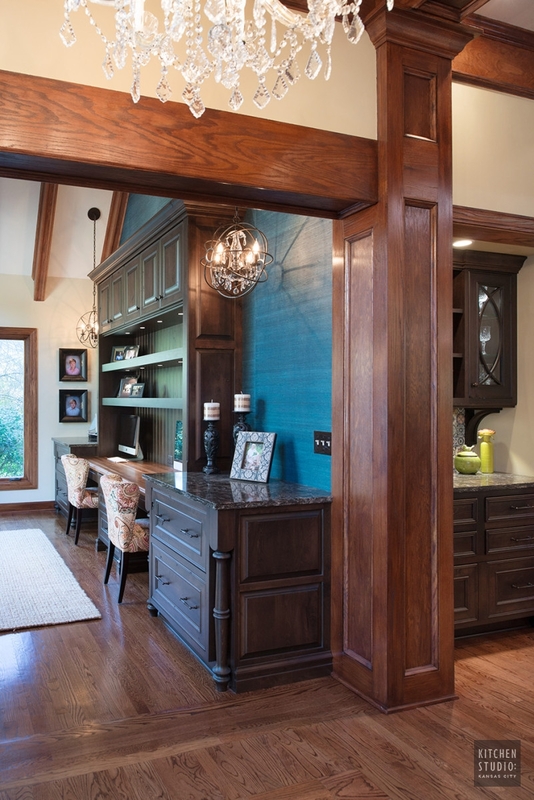 The vaulted ceilings called for a grand statement to anchor this room. 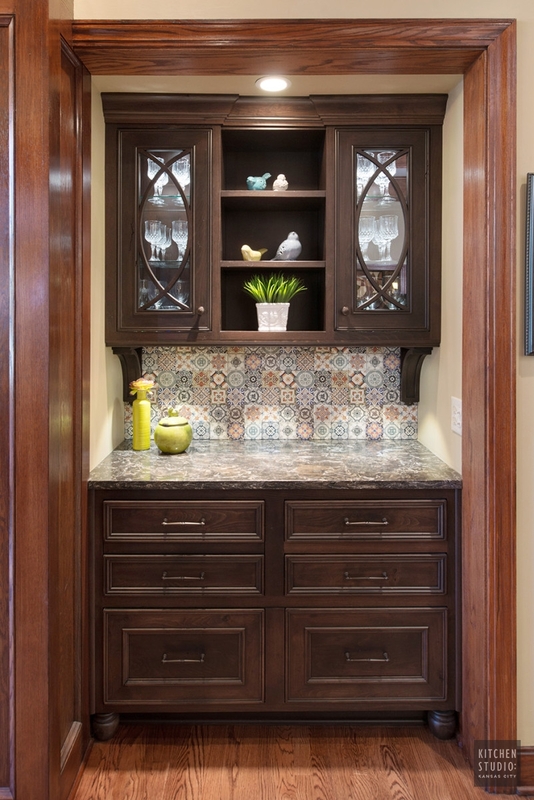 The small bar located off of the entry of this home has been opened up to show off the beautiful hand painted tile. 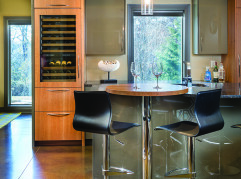 Glass front cabinet with curved mullion doors showcase wine glasses while keeping them dust free. The open shelving in the center is a perfect place for displaying precious keepsakes. 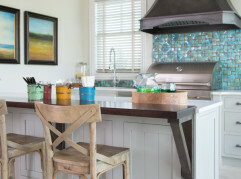 The drawer configuration allows for tray dividers for party platters, alcohol bottles and smaller items like cork screws and napkins.